Over the past 15 years P.T. Anderson has assembled one of the greatest CVs of any modern filmmaker. 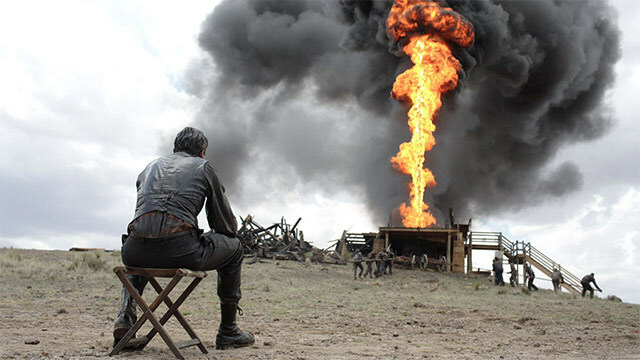 Movies such as Boogie Nights, Magnolia and, most recently, The Master, have been critically adored, while his masterpiece, There Will Be Blood, is considered by some the greatest film of the 21st century (Peter Bradshaw at The Guardian certainly thought so). If you've a srong yearning to watch the man's complete oeuvre in one sitting, then you're in luck: on 24 May the Prince Charles Cinema in Leicester Square is hosting a Paul Thomas Anderson Marathon. Starting at 9.30pm, they'll show every one of his features, from 1996's Hard Eight through to 2012's The Master. The marathon ends at 10.35am the next day, at which point punch-drunk punters will emerge into the sunlight, threatening to drink each others' milkshakes. Tickets cost £25. Will the man himself make an appearance? Doubtful: he's busy at work on a new project — a rather exciting one at that, as he's bringing the first ever adaptation of a Thomas Pynchon novel to the big screen, in the form of the feted novelist's 2009 pulp neo-noir Inherent Vice. To get you in the mood, here's a clip from Magnolia in which Frank T.J. Mackie, a career's best performance by Tom Cruise, doles out relationship advice.